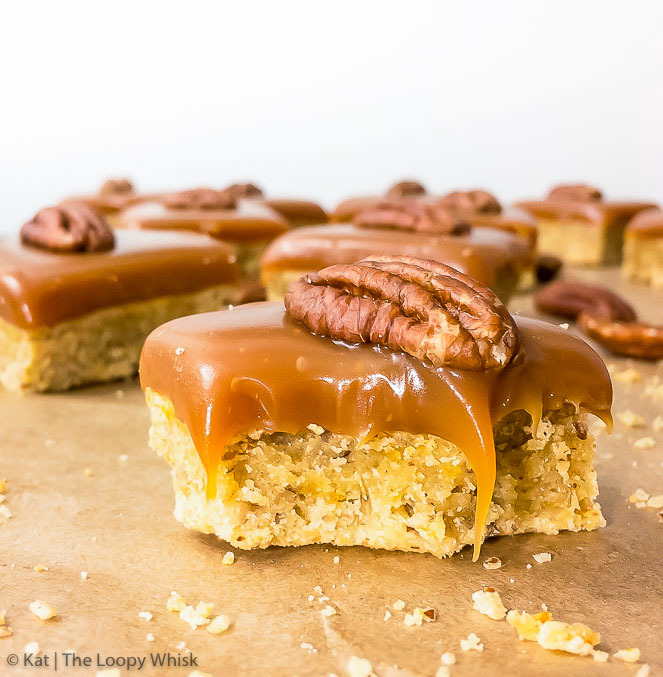 Orange zest and pecans join forces in these amazing orange and pecan salted caramel cookie bars. This cookie bar recipe is incredibly simple and super easy to follow. 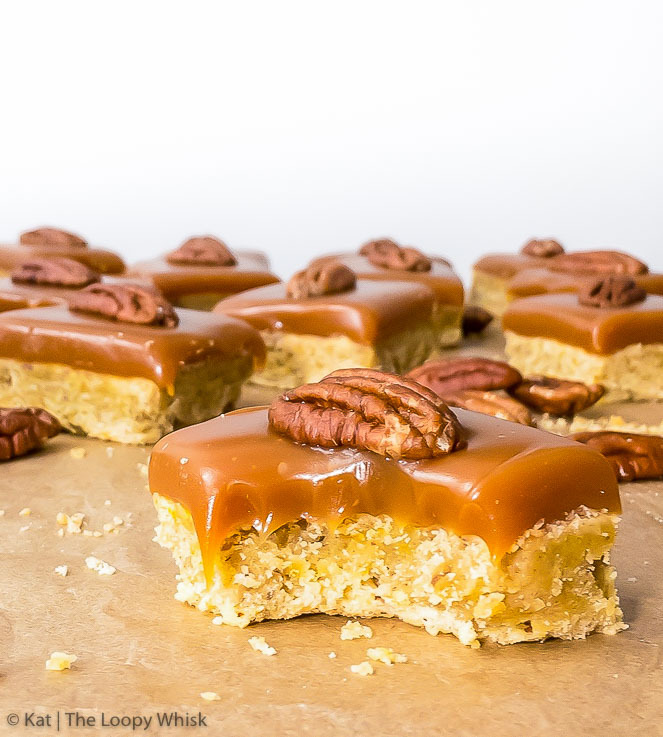 From the melt-in-the-mouth salted caramel layer, to the buttery, crumbly pecan cookie base with bursts of aromatic orange zest – every single bite of this delightful dessert will blow your mind! 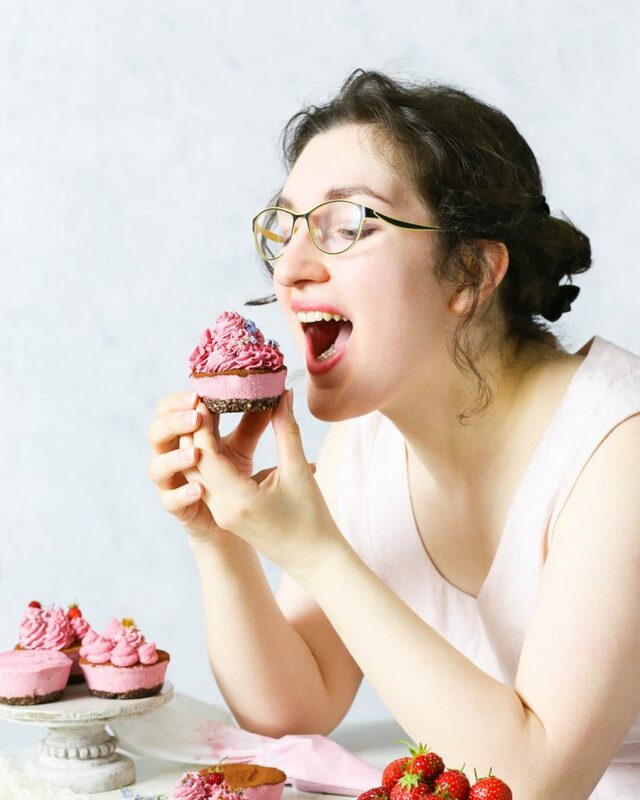 As I’m sure you’ve noticed so far, if you’ve been following my posts, I love to describe food and recipes in excruciating detail, with way too many flowery adjectives and an almost scary amount of enthusiasm. This will continue. After all, you can’t taste the deliciousness I so very much want to share with you, so hopefully my words are powerful enough for you to get at least a hint of the amazing flavours hidden in every single one of my recipes. I’ll also continue labelling all the relevant recipes as gluten free, dairy free, sugar free, vegan, and so on. This can hardly be an allergy friendly (a.k.a. “free from”) food blog without this information. Moreover, despite my scientific background and the fact that calling anything ‘healthy’ is annoyingly vague, I’m bound to call a recipe ‘healthy’ or ‘nutritious’ on occasion. But you can be certain that I’ll support this with at least a short list of the most important vitamins, minerals and other nutrients. There won’t be any calorie count information. Ever. But that’s a whole other post. Here’s what you won’t hear me say… or read me write. I’ll never call a recipe guilt-free. Because… just no. Food has no inherent moral value, and your eating a certain food does not make you a good or a bad person. (I am aware that dietary choices – or lifestyle choices, if you prefer – such as veganism are often based on ethical arguments, but that’s a separate story.) Eating more fat, more carbs, only green salad, no veggies ever, etc. – this has no bearing whatsoever on what kind of person you are. And while you might feel better eating and cooking a certain way, this shouldn’t be because of an absence of guilt. It should be because the food is tasty, you enjoy preparing it, and it nourishes your body. Why this serious topic all of the sudden? Because I come across way too many (very tasty, at that) recipes that are labelled ‘guilt-free’. And no matter how yummy, scrumptious or super nutritious they are, if I notice such a label, I won’t share them further. Because such language is not OK and I won’t help propagating it. Remember, words matter. Okay, now that we’ve covered that, let’s go on to talk about the delicacy of the day. I present to you: orange and pecan salted caramel cookie bars. There are hardly any words for how delicious these cookie bars are. I’m talking serious decadent indulgence levels here. From the salted caramel with salty notes underneath the sweetness, to the buttery, crumbly pecan cookie base with bursts of aromatic orange zest – every single bite is a symphony of flavours and textures. Just like the salted caramel chocolate chip cookie bars, this recipe is super simple and easy to follow. But the taste, oh, the taste. These are seriously dangerous. One cookie bar transforms into two… three… and all of the sudden you’re looking confusedly at an empty plate. Those cookie bar ninjas sure are sneaky little things. Nothing whatsoever to do with you. Nope. In the name of science, I sacrificed myself and tested these salted caramel cookie bars both at room temperature and straight out of the fridge. After repeated testing, I still can’t decide which version I prefer. 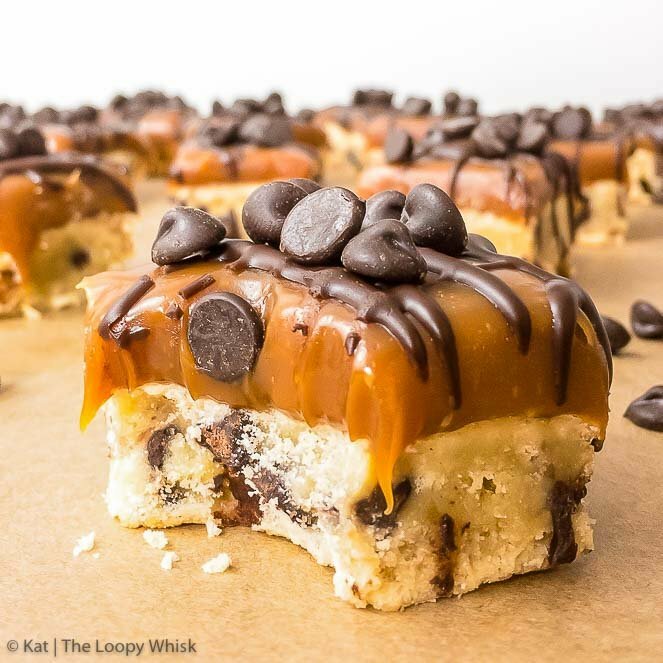 When cold, the cookie base is firmer, denser, and as the salted caramel warms in your mouth, it melts slowly and the saltiness comes through delightfully. 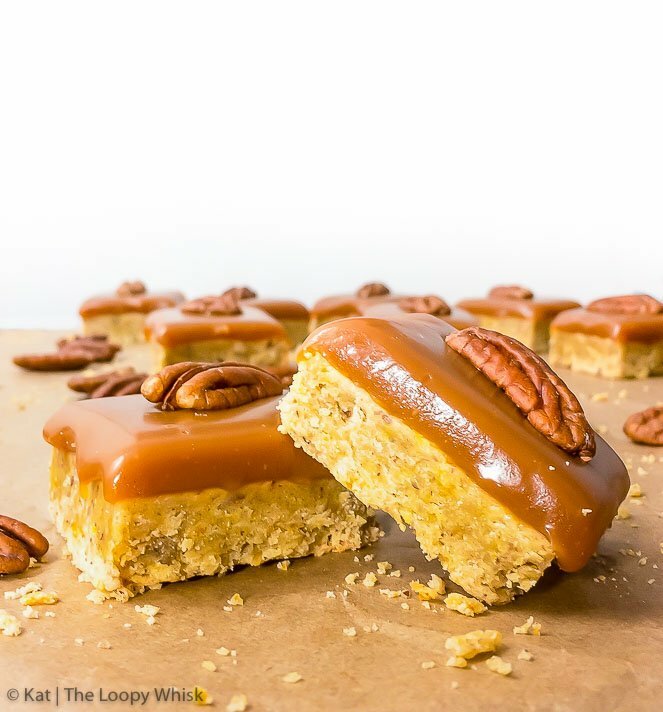 The room temperature salted caramel cookie bars, on the other hand, are more crumbly and their buttery pecan flavour is intense and wonderful. 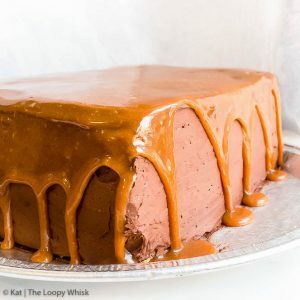 The salted caramel seems sweeter, and is stickier – a wonderful texture combination, which is virtually impossible to eat in a polite manner. All I can say is: enjoy. 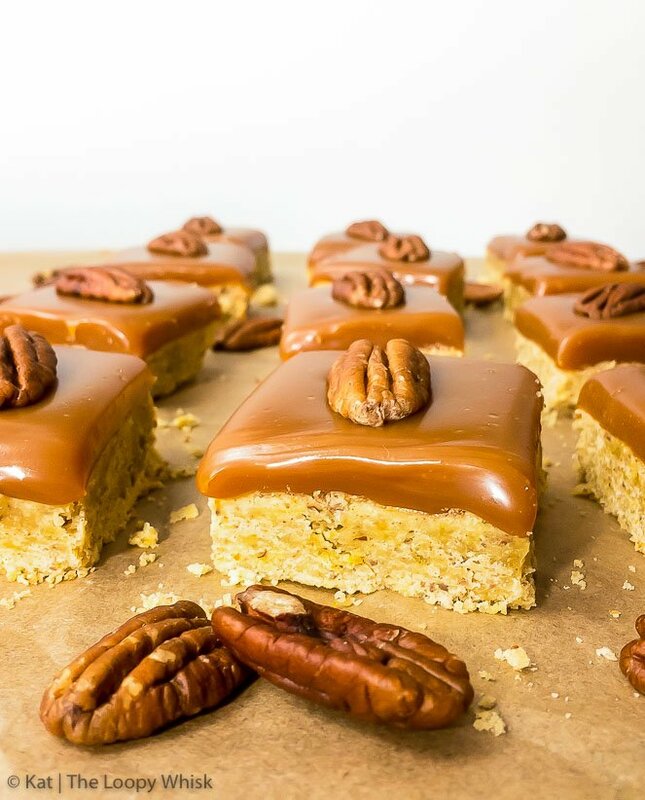 Orange zest and pecans join forces in these amazing orange and pecan salted caramel cookie bars. 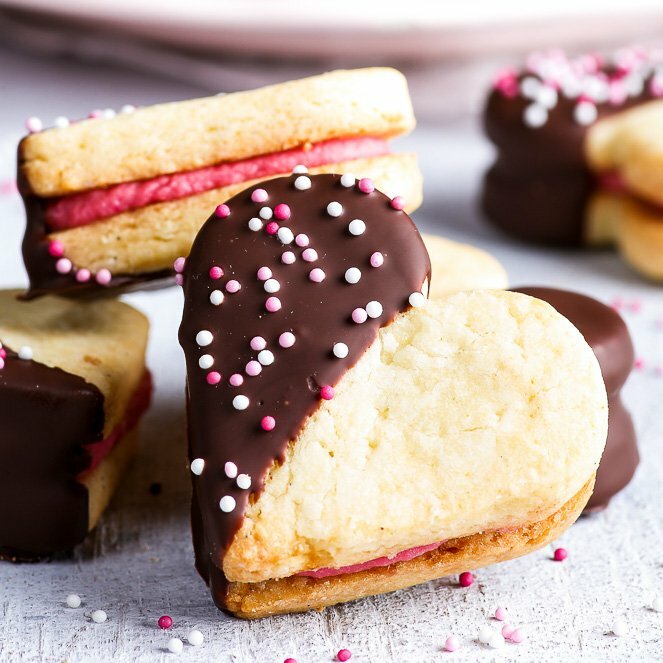 This cookie bar recipe is incredibly simple and super easy to follow. 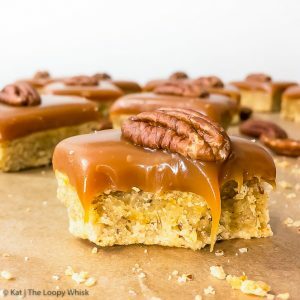 From the melt-in-the-mouth salted caramel sauce layer, to the buttery, crumbly pecan cookie base with bursts of aromatic orange zest – every single bite of this delightful dessert will blow your mind! Add the flour, salt, ground pecans and orange zest, and mix until a smooth, not sticky, cookie dough forms. Decorate the cookie bars with whole pecans. And enjoy! The orange and pecan salted caramel cookie bars keep well in a cool dry place (or even in the fridge, just allow them to come to room temperature before serving) for about 3 to 4 days. Just beware of those sneaky cookie bar ninjas! Looking for more salted caramel treats to drool over? Yep, definitely drooling over here. I mean, come on!? That caramel!? SWOON. I need this in my life, like, yesterday! 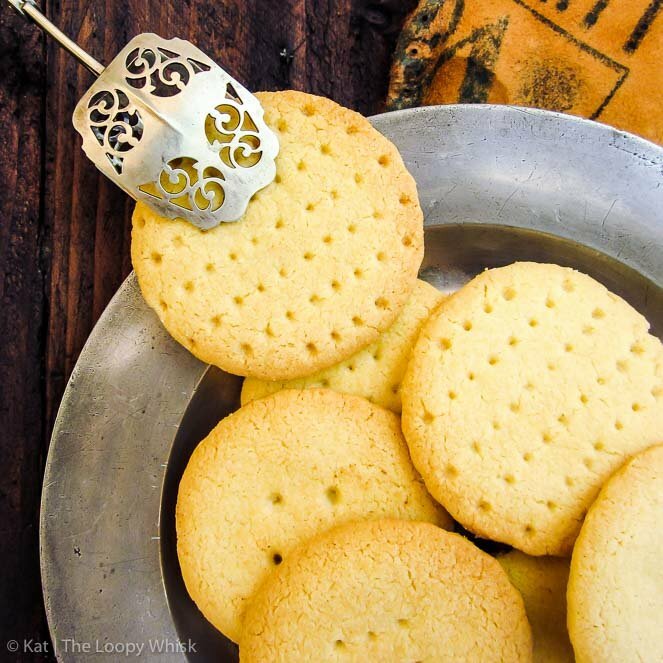 Thanks for this fabulous recipe! I made a spiced carmel by boiling some kardamon, mace and cinnamon with the butter and cream, adding a good splash of rum and letting it soak for an hour. 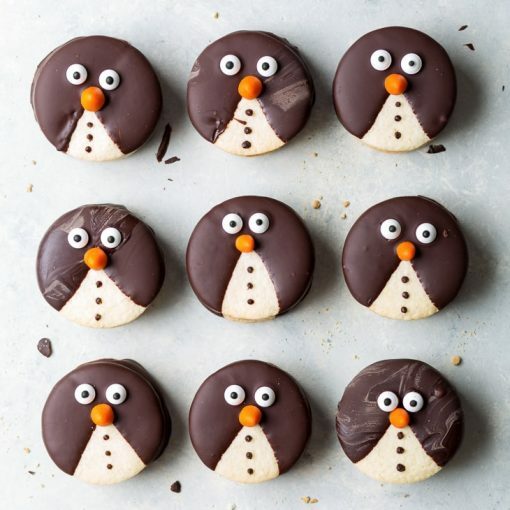 It turned out really well, perfect for the Christmas season, so I will definitely make it again. Everything in the recipe work really great and the cookie came a nice and crumbly. I thought at first that there wasn’t enough sugar in the cookie dough, but together with the caramel it is in perfect balance. Thanks!